I have heard time and again from Americans that their biggest worry about traveling is their safety. One of my biggest worries when we started traveling in Southeast Asia, was that I would not be able to find fluoride-free toothpaste! I doubt this is an issue for most travelers who would be fine with using any old shampoo, toothpaste or moisturizer. But, restocking our travel first aid kit while on the road would become a top priority for me when visiting new cities. “An estimated 75 to 90 per cent of cosmetics contain parabens“. Parabens are an estrogen mimicking chemical that interferes with hormone function, reproductive function, and has been linked to breast cancer. We have two ladies in our family that aren’t keen to let companies fiddle with our hormones, not to mention our guys! So, I buy products that are free of the dirty dozen ingredients including triclosan, parabens, phthalates, formaldehyde-releasing preservatives, dyes, and parfums. Our travel first aid bag has grown after one year in SE Asia. 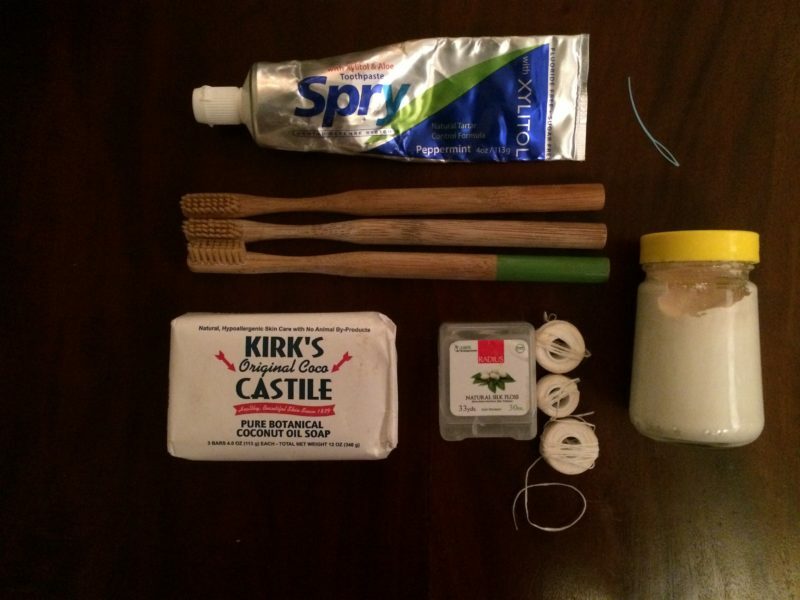 The items that we’re glad we packed are pictured on the right and include sunblock, silk floss, our Harry’s razor, and Sonicare replacement heads. Items on the left are what we’ve purchased over this past year. Left – Items purchased over 1-year of travel. Right – Items we packed for our travels. Elta clear facial sunblock shown above, and low chemical sunblock for body shown below in the jar with yellow lid. Sunblock is expensive here and outside of Cetaphil, I haven’t seen other low chemical brands. Microspore paper tape as well as gauze for zero waste bandages. Paper tape has many other uses. Supply of Spry fluoride-free toothpaste. Eventually, we did locate fluoride-free toothpaste in addition to a good recipe to make our own. Radius Silk Floss and refills and also available in Ubud, Bali. Apple Cider Vinegar is widely available in Asia and helped us deal with kids finger verruca. Sewing scissors that TSA hasn’t confiscated yet. Cortisone and First Aid cream which is probably widely available, I just haven’t looked. Sonicare Toothbrush and brush head replacements which are expensive in SE Asia and not widely available. (3) Kirks Castile Soap for sink laundry, as can be seen in the picture below. Castile soap is hard to find and a bit expensive in Asia. 6-month supply of prescription medicine. My common script is easy to get anywhere without an exam or prescription, but some meds aren’t available in some countries and must be shipped. Compostable toothbrushes as shown below. The one place I’ve found compostable toothbrushes is The Hive in Bangsar, Malaysia. Dandruff shampoo Scalp treatments are a popular salon service in Malaysia and have eliminated our need to buy dandruff shampoo. These treatments last for 1-2 months. Lactaid. Available in Kuala Lumpur and probably more widely. Enzymes – Available. 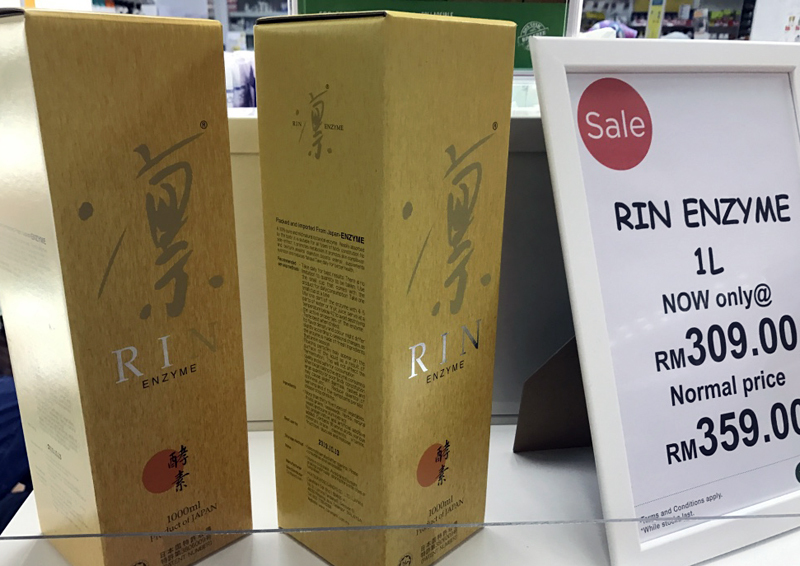 Check out this liquid Japanese Rin Enzyme product that I’m eager to try! Melatonin purchased to help with sleep on a flight to Edinburgh. We paid about $10 USD for 10 pills in Thailand. Incidentally, the high price of melatonin is due to them being non-synthetic. Broad Spectrum Antibiotics purchased specifically for a trip to India. Rhodiola rosea is only available at one store in Malaysia for double US AVG retail prices. Palm oil free and paraben free shampoos, soaps and moisturizers *. Chinese medicine like Pill Curing for belly aches. A must for Bali! Charcoal tablets when Pill Curing (above) doesn’t do the job. 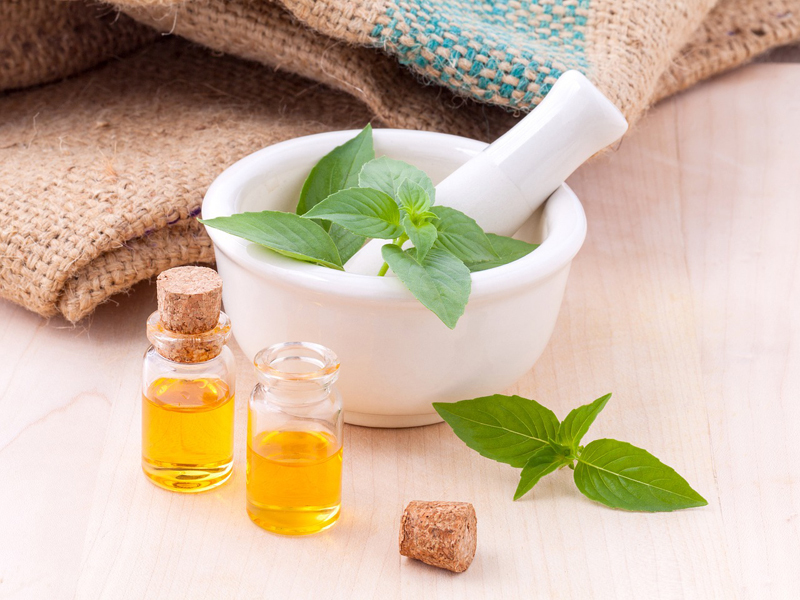 Mosquito repellant oil from India. Saline Spray purchased specifically to clean nasal passages on a tour through India. In fact, the saline spray was useful. Ear drops for a Bali ear infection and swimmers ear. Isopropyl Alcohol is hard to find in SE Asia, so if you use it regularly, pack it. It only comes in pads or tiny bottles when you can find it. Oddly enough, the alcohol is mixed with dye. Coconut oil as hair and body lotion is thankfully easy to find across Asia. Face masks with carbon filters purchased to combat the smog in India and equally useful in Malaysia to combat air fresheners in Ubers! More on that in my post ease of finding healthcare products in Asia. 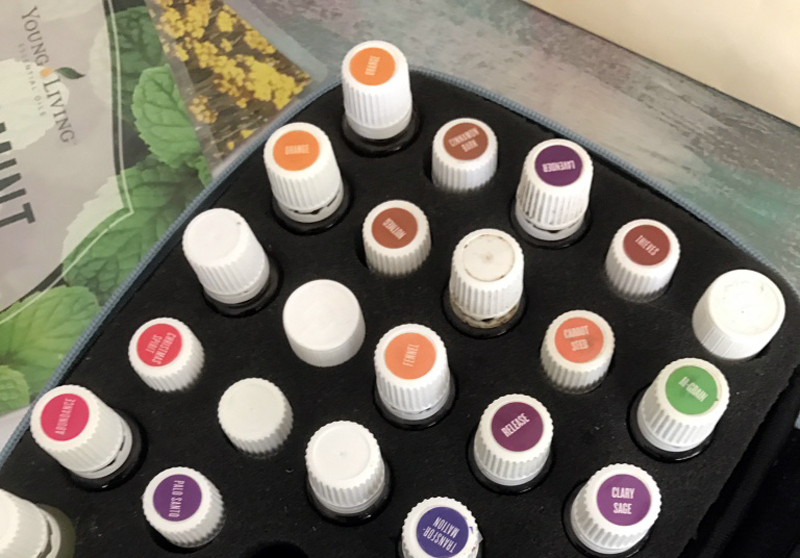 Essential Oils are a first aid kit must for many travelers we meet. Young Living Essential Oils in Kuala Lumpur. 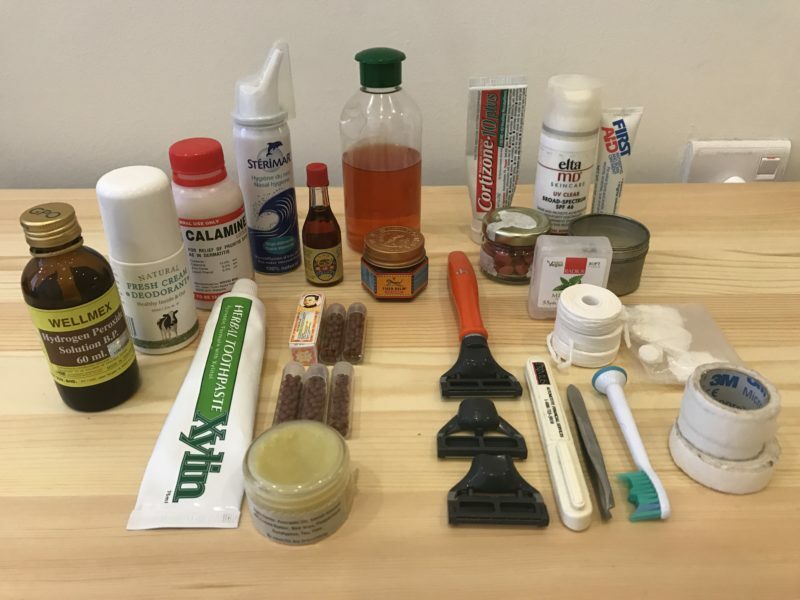 Altogether, our travel first aid kit isn’t very different from what we would stock in our home. We started off our travel probably more drug conservative than most because we rarely get sick. Coupled with the fact there are pharmacies on practically every corner, we didn’t think it necessary to pack for every possible illness. Lastly, if I were to do it again, I would try to understand before-hand what medicines and products were available in my destination country. Had I done so, we would’ve brought extras supplies in some cases and not even bothered with much of the rest. If you have connections in those countries, ask them to check with their local pharmacy. I happily did this for someone and I’m sure it gave them peace of mind. I hope sharing our first aid kit and some of the challenges to find products has been helpful to you. Leave a comment below if you have any questions!